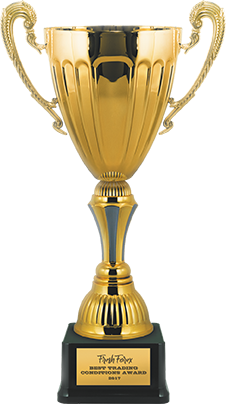 FreshForex: Best Trading Conditions 2017 Award Winner! 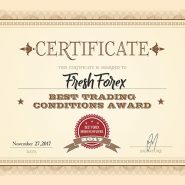 FreshForex: Best Trading Conditions 2017 Award Winner! The key aspect of choosing the right broker is beneficial trading conditions. You wouldn’t be able to earn with a broker that works against you and offers non-competitive conditions and rates. As for FreshForex, both professional traders and novices can earn with this broker, see for yourself! FreshForex offers the wide range of services for trading on financial markets. More than 135 financial instruments for profitable trading are at your service, including market leaders’ shares, the first cryptocurrency bitcoin and different indexes. No requotes: ultra fast order execution from 0 seconds (Market Execution) and narrow floating spreads from 0 pips. 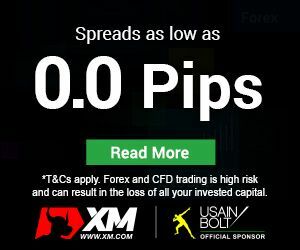 For clients with different level of forex trading experience there are various account types with Market Execution: Classic, Market Pro and professional ECN accounts. It’s worth to mention, that leverage does not decrease on ECN accounts during weekends! Besides, FreshForex has launched additional services for convenience of the clients: FreshForex Easy bot and VPS server. FreshForex Easy bot is an indispensable Telegram Assistant that provides trader with all the essential information for fast and easy trading, and VPS server is specially developed for smooth uninterrupted trading from anywhere of the world. Check out more details about trading conditions on official FreshForex website. There are more than 20 different deposit and withdrawal methods at your service, including Bitcoin, Neteller, Skrill, bank cards, etc. FreshForex charges no commission for deposit by any available deposit method. Average time for withdrawal processing is 10 minutes during the working hours of the company. The exceptions are bank transfers, that can take several bank days. By choosing FreshForex, you get full transparency of transactions! As you can see, FreshForex is a reliable broker that cares about its clients. FreshForex offers all the conditions for successful and convenient trading. For up-to-date information check the website. Start trading with successful broker FreshForex right away! Warning: margin trading on Forex involves high risks and may lead to financial loss.